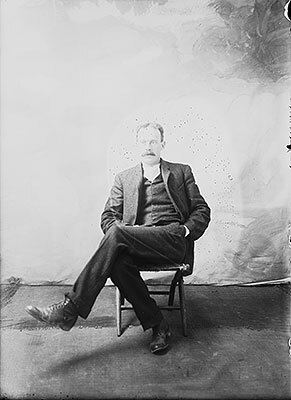 Photographer Leon Dewey was born in Poultney on October 1, 1876, the son of Matella Dewey and the great, great grandson of Major Zebudiah and Beulah Dewey, two of the original settlers in Poultney. He and his family worked the farm of the original Dewey settlement in Hampshire Hollow. After his mother died when he was about 4 years old, he lived with his grandparents, John R. and Melissa Dewey, on Hampshire Hollow Road. After marrying Anna Dailey when he was 34, he moved to a house near the East Poultney green. At this time he worked as a family chauffeur. By 1930, Leon and Anna had moved to Richmond, Vermont where he was employed as a mechanic in a garage. Tragically, he was robbed and killed there in 1938 and buried back in Poultney at St. Raphael Cemetery. 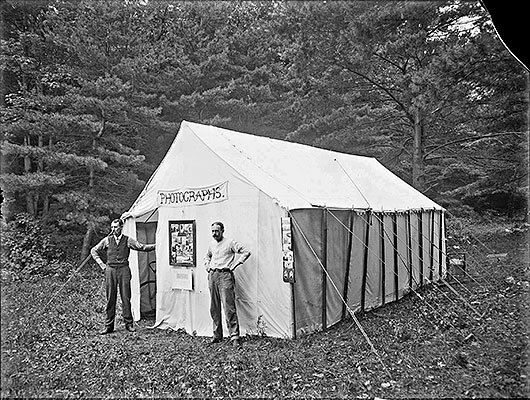 After Leon’s death, Anna Dewey returned to Poultney and worked on the Poultney WPA Project. She then spent many years in Schenectady, New York, until finally coming back to this area, where she died in a Rutland nursing home at age 102.